As most of our readers will know, we are currently in the midst of the sponsored Six Items Challenge, raising money for Labour Behind the Label. We have each chosen 6 garments to wear for six weeks. Find out more about the Six Items Challenge and why we’re taking part here. We’re currently beginning week three of the Challenge, and boredom is definitely starting to set in. So, we called in an expert. Personal stylist Natasha of Savvy Style popped in to meet us and share her top styling tips with Emily. She wanted to show us how our mere six items could be used to create almost limitless outfits. How could we say no to that! “The Six Items Challenge always fills me with dread and this year is no exception! As someone who loves the amount of choice I have in my wardrobe, having just six items leaves me longing for all the wonderful clothes I can’t wear. So when I was offered the chance to be styled by the lovely Natasha from Savy Style I jumped at it! Over the years I’ve collected a range of beautiful vintage accessories, statement jewellery and lots and lots of my favourite thing – shoes! These were to come in very handy and open my eyes to the amazing amount of choice I have during the challenge. First of all I explained to Natasha that my look is normally smart casual and that I like to add a twist of creativity to my outfits. She understood perfectly and went to town (or to work). My favourite outfit she styled me in was my black jeans and black roll neck jumper, accessoried with tan suede knee boots, suede coat, tan belt and vintage cord hat. Natasha added one of my beautiful vintage scarves to a straw clutch bag, giving it a little edginess and adding a pop of colour to the look. It’s such a great idea! I’ve already worn this combo again and it will no doubt become a staple during and after the challenge. Watch the styling session in full below. 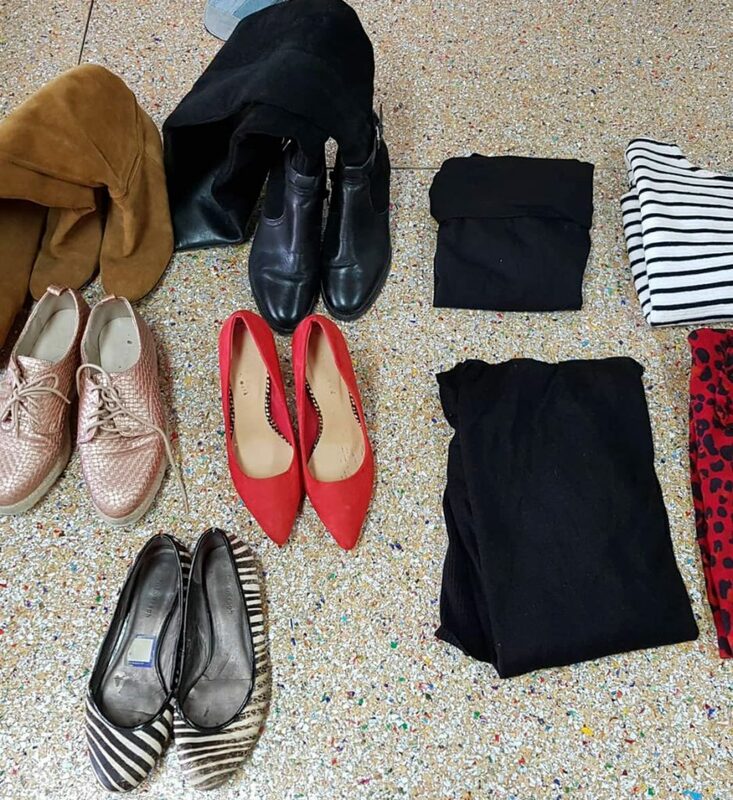 The tips Natasha shares are useful for anyone – whether you’re trying out a capsule wardrobe, or just want to be more creative with the clothes you already own. 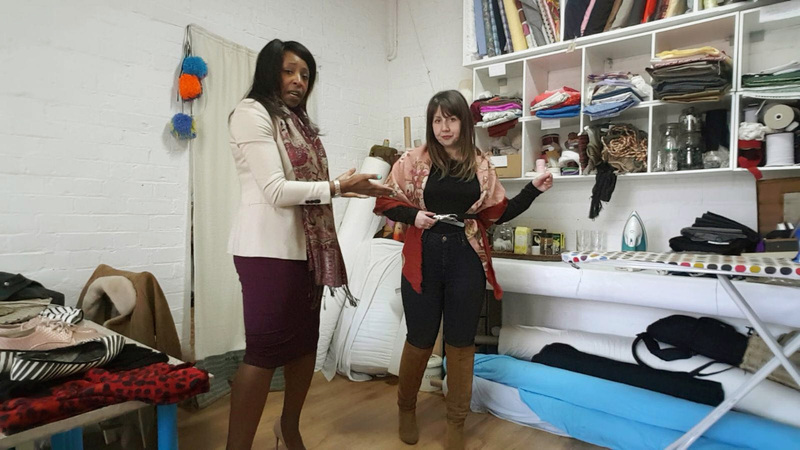 Huge thanks to Natasha from Savvy Style for sharing her styling wisdom with us. We’ve all been inspired to be so much more creative with our looks during the Six Items Challenge. If you need some style advice in your life, check out Natasha’s website here. Her Youtube channel is choc full of really useful style advice – check it here!